I've been in the pits recently, overly busy, grouchy and bored. Things are so bad, I just caught myself watching an online cat video. It was Ninja Cat (with haunting music), but still. Enough is enough. It's time to read something that kicks boredom to the curb. Here are a couple of books that worked this magic for me and a couple I'm reading now. If you're bored and fed up with your usual fare, maybe one of these will work for you too. Lee Child's Jack Reacher is a 6'5", 230-pounder with blue eyes and dirty blond hair. This rootless ex-Army MP travels around the country with no cellphone or planned destination and only the clothes on his back. When he needs an outfit change, he buys something and throws the old ones away. Sleep happens wherever he lies down. From time to time, his Army past drags him back into action. 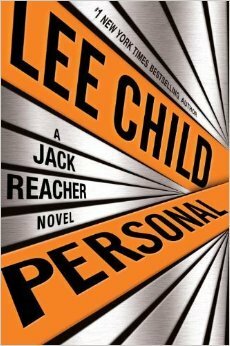 For all his toughness and cynicism, Reacher knows what's what and how to use his head. In Personal (Delacorte, 2014), Reacher spots an old Army Times personal ad addressed to him by a man he owes a favor. Almost before Reacher knows it, he's on the hunt for a sniper so skilled only a few in the world are possible suspects. One of the possibilities is a man fresh out of prison who swore vengeance when Reacher put him there 16 years ago. Could he be the one who took the unsuccessful shot at the president of France? The attempted assassination target and the race to capture a sniper are nods to Frederick Forsyth's 1971 classic, Day of the Jackal, and if you haven't read that thriller and seen the movie, do it. With another nod, this time to James Bond-creator Ian Fleming, whose Bond girls always have ridiculous names, Reacher's potential love interest and work colleague is named Casey Nice. Nice and Reacher (I almost said "Easy") are off to Paris and then London, where they rendezvous with their British counterparts and meet people who aren't Nice. (I can't be expected to pass up the chance to say that.) It's not one of the best Reacher books I've read but any Reacher is better than no Reacher. Any day of the week, a lot of kids would consider Annette Vess a cool mom. She was a storyteller extraordinaire, especially about how she lost one of her two missing fingers––a mean woman got lucky with a knife in a South American jail. Sometimes "Uncle" Paul would appear and Annette, a spy and single mother, would leave for weeks. Three years after her death, her adult children, Dee and Simon, still find their mother mysterious, but there's no doubt Annette loved them and they loved her. As Jamie Mason's Monday's Lie (Gallery Books, February 2015) opens, Dee is following a blue sedan. We follow Dee back and forth in time as she explores growing up with her mother's spycraft games, her close relationship with her brother, Simon, a cop, and a marriage to a conventional man Dee thought was the antidote to her very unconventional childhood. This is a book I liked, despite some overly elaborate writing, because at its heart is the great relationship between a spy and her two kids. 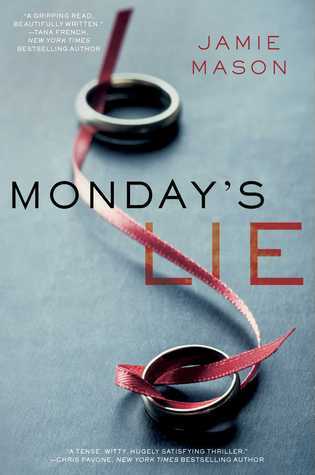 Although Monday's Lie doesn't provoke the anxiety or provide the macabre humor of Mason's first book, Three Graves Full, there are enough twists and turns and the wonderful legacy Annette left to Dee and Simon to make me happy. Here are two books I'm reading now. 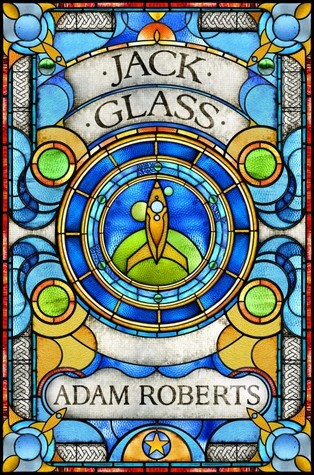 The first, Adam Roberts's Jack Glass: The Story of a Murderer, won the British Science Fiction Award for Best Novel a few years ago. It's billed by the publisher, Gollancz, as Golden Age sci-fi meets Golden Age crime. There are three interconnected stories: a prison breakout, a locked-room mystery and a whodunit. It's set far in the future when humankind populates the solar system. The very wealthy occupy Earth while the very poor (the sumpolloi) are housed in orbiting shantytown bubbles. Roberts's writing is witty and sly. We know the narrator, Jack Glass, is a murderer from the beginning but the reasons for his merciless nature are only gradually revealing themselves after the opening: "This narrative, which I hereby doctorwatson for your benefit, o reader, concerns the greatest mystery of our time." Imagine yourself shuffling along when a hole to another universe opens suddenly in front of you. I don't know about you, but I would be just as likely to run screaming the other way as I would be to step in. I do, however, love portals and wormholes in fiction. (Think Roger Zelazny's A Night in the Lonesome October). 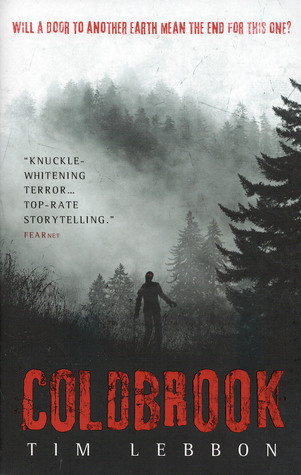 Coldbrook (Titan, 2014), sci-fi/horror by Tim Lebbon, is nothing like that quirky and comic Victorian Age gothic, but I was caught at its beginning: "Six hours after forging a pathway from his own reality to another, Jonah Jones closed his eyes to dream." Dream, schream, it's a nightmare for Jonah and the world. The human-like figure that steps out of that hole at Coldbrook, a secret lab in the Appalachians, is not exactly human, after all, and the lab's workers are soon infected. They and I are headed for a tension- and terror-filled apocalypse. Hard to be bored when that happens.